Never. Never in the wildest dreams of my “possible self” did I imagine me as a school principal. Though I felt the time was right to begin the transition into a more focused leadership role, I was quite content to take the safe route of program administrator with an eye towards Curriculum Director. This seemed safe, doable and not too “messy”; I never imagined I had the skill-set to deal with contentious staff and disgruntled parents, always quipping “You couldn’t pay me enough to be a principal”. My impression was that Administration was largely made up of problems, roadblocks and paperwork; where’s the joy in that? Indeed, Coyle (2011) paints a rather dire picture of the role of principal as someone entirely out-of-touch with education, more Office Space cubicle denizen than educator: “If class sizes increase, if students have varying learning styles and critical emotional or academic needs, if there are insufficient or outdated texts, administrators have little hands on connection with that reality. Their work remains quite separate from the work of the classroom” (p. 44). You see, my impression of administration was based on a narrow and wholly unimaginative misconception of what it can mean to be a principal, at least for people like Coyle. For me, the reality is much different than I could have possibly conceived. To my astonishment, I am finding a rapidly growing appreciation for the administrative portion of my internship, an experience that completely refutes Coyle’s imagining of principals as outdated, middle managers feeding on the bloat of a top-heavy system. They work to fashion a positive context (p. 51). Much of the work I have been engaged with these first weeks of school is helping to refashion the academic and professional culture at our new school. I am playing a part in taking our school from a culture of weak academics to academic excellence; from a culture where teachers shut their door and just try to survive to a culture of collegiality and collaboration. First, understanding the unique culture and climate of a school is essential before sustainable, positive change can be made. I learn something new every day about the culture of our school through parent and student interaction; I learn which parents are supportive of our change in focus and which need a little more convincing that we are headed in a direction that will ultimately benefit their child. Returning staff is a rich source of information about the historic context of our school in everything from prior decision-making to parent and student expectations; they warn us about potential land mines and have played a big role in communicating their support to staff that have been less responsive. In reality, the learning curve is steep but it is important work as we reiterate the message that every decision is based on what is best for the kids. Indeed, a big part of my internship has been creating the structures and climate necessary for student success: creating a curricular program that enhances academic rigor so graduating seniors can get into college; sitting in discipline meetings to ensure that accusations of bullying are dealt with, followed by a meeting with the victim’s father; sitting in on an admissions meeting with a parent to clearly communicate guidelines and expectations for the conditional acceptance of their English Language Learner (ELL) students. My role in these meetings has been as an observer but I am gaining valuable insight and experience into setting the tone and direction of potentially difficult meetings, listening to concerns while redirecting conversation back to the issue at hand. Providing time for teachers to meet for collaborative, reflective discussion, create cross-content curricular units, craft common assessments and talk about students and teaching in a dedicated block squarely places our school’s emphasis on teaching and learning; it also helps support fellow teachers in building their leadership capacity. “Structuring time to work together is pivotal because it provides time for collaborative reflection and decision making, both essential components of leadership” (Coyle, 2011, p. 44). As I watch the HOS invite teachers into the decision-making process through the creation of Primary and Upper School Liaisons’; creating year-long and short term committees to work on the teaching, learning, safety and staff well-being; and having an open door policy where students, parents and staff are welcome to air their concerns and needs, I am keenly aware of the professional modeling that is happening, and I am taking note. Coyle (2011) laments that “The central dilemma in school improvement is restructuring in a way that keeps people involved and invested in the core work of the school, teaching, yet free to collaborate and lead” (p. 47) however, I wonderful if this is an issue that is more endemic in US schools rather than international schools? We are purposely structuring a professional environment that supports teaching and learning as our core values. Teachers who aspire to leadership at the principal level need encouragement to start thinking like an administrator” (Searby & Shaddix, 2011, p. 58). In the end, I have to disagree with Coyle (2011) and others that believe a strong administrative leader is not important to leading the work that must be done in schools; I know from first-hand experience working in schools in the US and abroad that leadership is key. I’ve seen the wreckage first-hand that comes from ineffective administrators (Principal or HOS), where teachers hunker down and just try to survive without the energy or time to lead out of the chaos. Teachers play a complementary and crucial role in working in tandem with the Principal and other administrative leadership to bring the teaching and learning to its fullest fruition; but teachers cannot do it on their own. 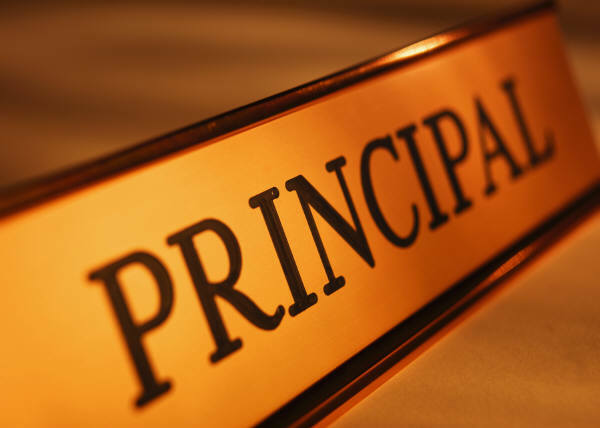 Teachers need strong leadership and they need effective Principals. I have come to appreciate the intellectual challenge inherent in observing, analyzing and suggesting strategies to move the many academic and school culture changes we’re initiating this year forward. I find that sitting in on meetings with parents and students, even when tears are shed and anger and frustration is expressed, enlightening. I am excited to attend my second Board meeting Wednesday evening even though there will be tough questions to answer as we communicate the hard work that must be done this year to move forward, to remedy the leadership vacuum of the past. My awareness and imagination surrounding the positive and far-reaching impact that a school principal can have on the teaching and learning that happens in a school has expanded exponentially. Every day, every experience and leadership opportunity that I add to my repertoire builds a possible self that rather than saying “never” thinks someday. Heller, Marjorie F. & Firestone, William A. 2011. Heroes, Teams, and Teachers: A Study of Leadership for Change. In Eleanor Blair Hilty (Ed.). Teacher Leadership: The “New” Foundations of Teacher Education. A Reader (pp. 61-82). New York: Peter Lang Publishing. Searby, Linda & Shaddix, Lisa. 2011. Growing Teacher Leaders in a Culture of Excellence. In Eleanor Blair Hilty (Ed.) Teacher Leadership: The “New” Foundations of Teacher Education. A Reader (pp. 53-60). New York: Peter Lang Publishing. This entry was posted in Leadership in Applied Curriculum, Standard 01. 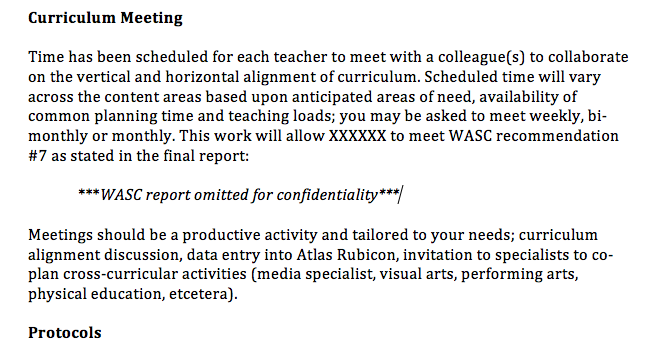 Instructional Planning, Standard 03. 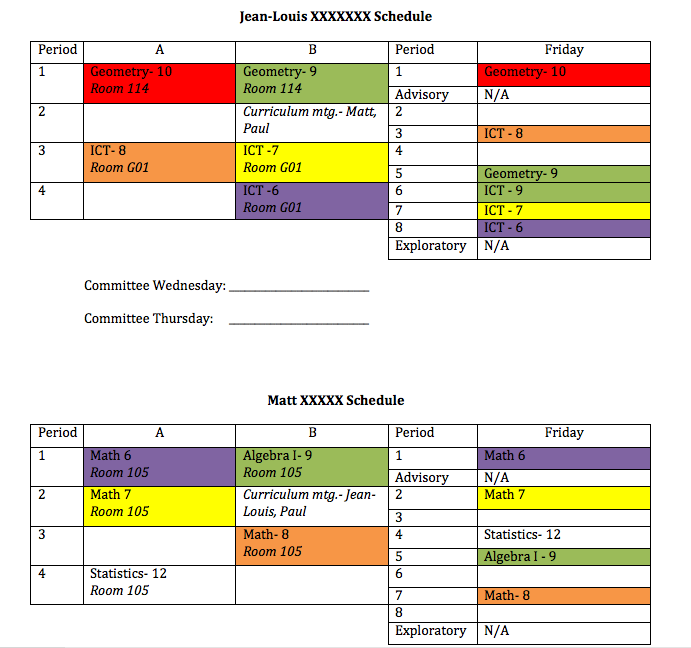 Curriculum, Standard 07. Collaboration and tagged curriculum mapping, Educational leadership, Possible Self, Principal, principal as curriculum leader. Bookmark the permalink.